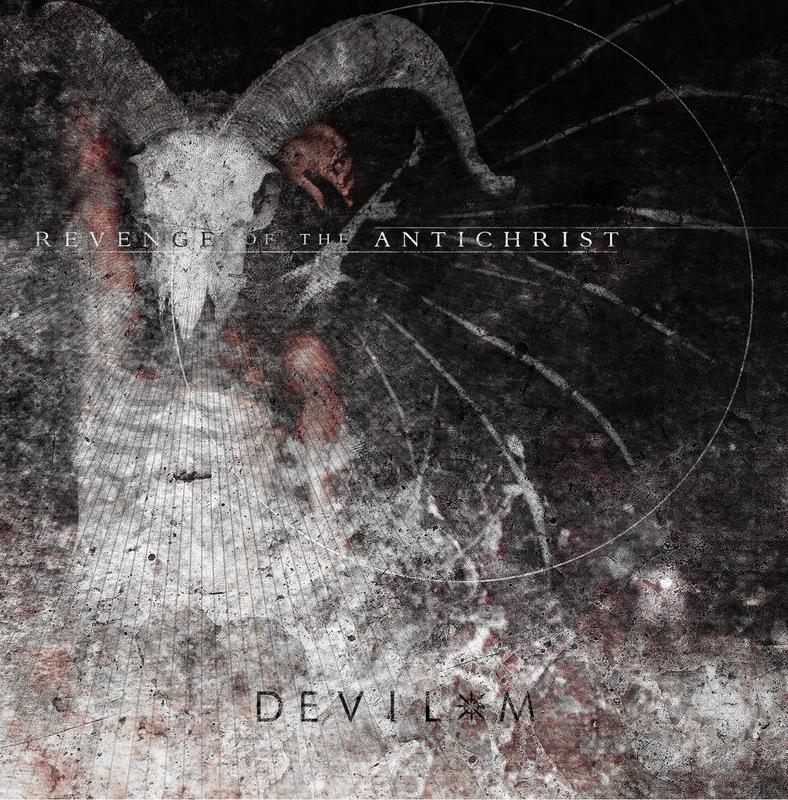 German industrial rockers Devil-M add a deep conceptual twist with their sophomore outing 'Revenge Of the Antichrist'. Resplendent with heavy guitars, heavier beats and demonic vocals, the album follows the tale of a schizophrenic man named Astharat who kills his wife, Eden, before descending into a dark and maddening world of self-hatred. The bands penchant for theatrics and conceptual melodrama reflect their most obvious musical influences such as Marilyn Manson, Gothminister, Psyclon Nine and Suicide Commando. But they are by no means another derivative industrial metal act. The bands unrelentingly harsh and noisy sound is well formed and executed with zeal throughout the album. The songs remain punchy and accessible, resisting the urge to descend into prog rock opulence purely for the sake of it. It's hard going but the band are loyal to their musical roots and the result is some very catchy and surprisingly accessible tracks. Songs such as 'Astharat', 'Rebirth', 'From Birth To Death', 'Good Way Of Dying' drive the album with a more discernible vocal narrative on top of the more traditional combination of heavy beats, guitars and catchy lead synths. While the likes of 'Apokrypha', 'Revenge Of The Antichrist (Part 1)', 'Love Is Not Available', and 'Harmful Scab' propel the album with visceral and intense mood pieces which push the electronics and piano to the fore. Some of which are heavy, and others clam but dark. The album seems very much in two halves with the first eight tracks really driving home the industrial rock elements of the band, while the last five songs tone things down and become more atmospheric. It would certainly work well on vinyl, but on a CD or digital release the loss in momentum may deter casual listeners grabbed by the opening numbers. Yet it is a solid album. The songs pull you in and the the concept doesn't get in the way of a good excuse to bang your head. The production is good with the synths and vocals being used to great effect in the mix to really convey the underlying narrative. This is only a second full-length album from the band, but it shows how far they have come in a relatively short time. This may not be to everyone's taste but those who like it heavy and deep will definitely find something in 'Revenge Of The Antichrist' to take away.